I’m taking a break from my life in New Hampshire to visit friends and family this week in Maryland. There’s been a lot of binging on the things I’ve been missing. This includes ethnic food and, of course, belly dance shows and workshops. Happily, my visit coincided with Mia Naja’s annual Moments of Magic hafla, a great showcase of D.C. area talent. And although the show started pretty late, it was well worth the wait. There was a wonderful diversity of styles and talents. Of course the highlight of my evening was seeing my former students performing as Sahara’s Treasure in a beautiful fusion of classic folkloric and cabaret styles. I’ve known some of these women from their very first class and seeing them owning the stage (after a minor hiccup with the sound system) was very rewarding. They’ve really danced into their own. My favorite fusion act was Khiyatta’s dramatic blend of tribal and ballet en pointe. Delicate spins and precise footwork became eerily dark in a synthesis that included moody arms and even floorwork. My favorite new act (new to me!) 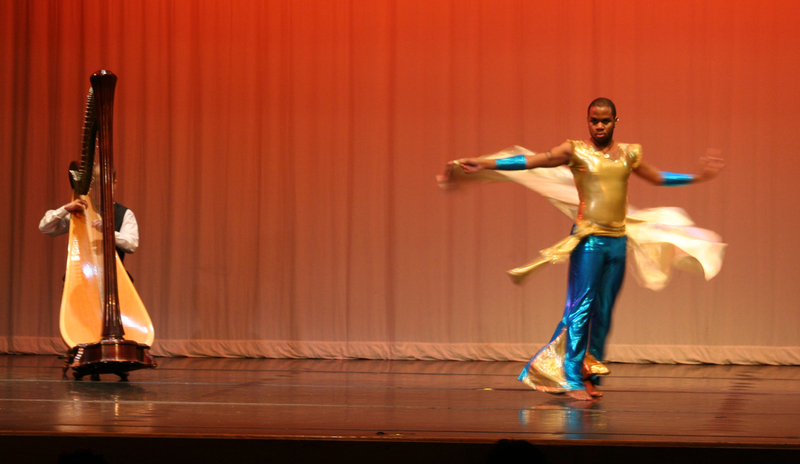 was student troupe Raqs Caravan Urban under the direction of the legendary Ebony. They performed a fun and funky fusion that was high in energy and flawless in its execution. It was really refreshing to see such unique style. Per usual, Bagoas kept the crowd in the palm of his hand with his mind blowing isolations and smooth musical interpretation. An artist in every sense of the word, Bagoas continues to pioneer the field in new and exciting ways. I also saw my first performance with a live harp accompaniment. Phoenix’s veil solo piece was thoughtful and emotive. I’ll be waiting to see what develops in the coming years with this one! There was also, of course, fabulous performances from Nadirah Nasreen, Ebony, Naimah, and Zaira al Zahara, as well! It was a great night. Our mission is to unite the initiative of dancers around the world to celebrate the wonderful art of belly dance as a holiday… We got inspired by the idea of holding an event that would serve as a reminder that belly dance is an ART form, a cultural event, a sport, and a social and family entertainment. It is also a wonderful chance to help those in need. Tallahassee, Florida, USA, Tallahassee Tribal’s shimmy mob surprised shoppers at a local farmer’s market with an impromptu performance to benefit Refuge House, a shelter that aids victims of domestic violence. More. Wollongong, New South Wales, Australia, Dancer’s of Cinnamon Twist School of Bellydance offered free workshops and demonstrations to benefit the Smith’s Family Sponsor a Child Program for disadvantaged children. More. Cape Town, South Africa, Studio Feminine Divine hosted dancers from 26 studios from the Western Cape for a bellydance themed fashion show that celebrated natural feminine beauty and raised money for St. George’s Home for Girls. More. Hanoi, Vietnam, Over fifty bellydancers from Apsara Dance Studio joined in a flash shimmy mob to benefit the Blue Dragon Children Foundation. More. Glasgow, Scotland, Sarasvati Tribal organized a charity hafla that raised £200 for the Marine Conservation Society. 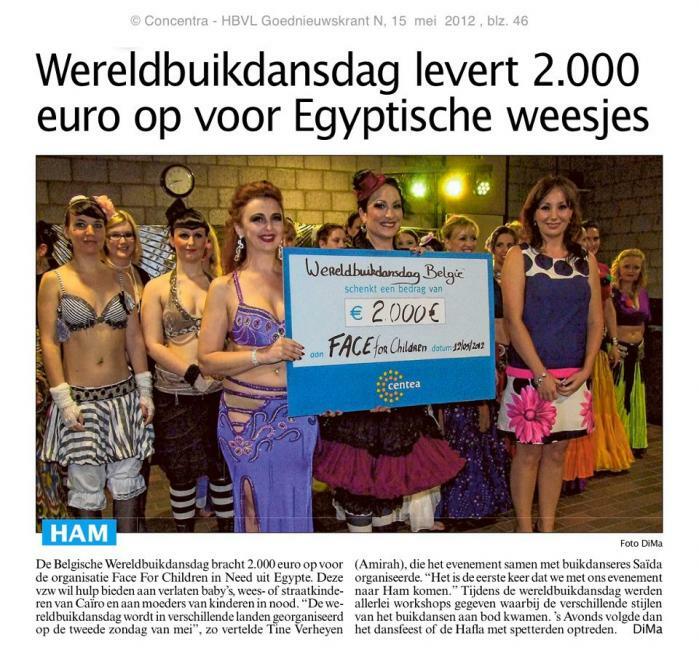 Ham, Belgium, Amirah and Saïda hosted a day of bellydance that raised over 2000€ for FACE for children, a charity working with orphanages in Egypt. There were workshops and performances from notable Belgian and German artists such as Queenie, Kayla, Ishani, and Khalida. Want to see some video footage? Check out my WBD 2012 50+ video playlist on YouTube! Congratulations all on your wonderful successes. I can’t wait to see what you do next year! Send a Free Card to Your Bellydancin’ Valentine! Look what I made this morning! What a great way to wish your favorite belly dancer a happy Valentine’s Day. Don’t forget to send them to your troupe mates and teacher, too! I’m also posting them, one at a time, on my Facebook page over the next few days. Like my page, then share them with you online Valentine’s, too! There’s also a .pdf file in the “Cool Stuff!” tab so that you can print them out on your own! Thank you *xcutiner on DeviantART for allowing me to use the vector images. If you’ve had trouble sticking to your goals in the past, the idea of setting new ones for 2012 might not be appealing. But taking the time to check in with yourself, figuring out what you want most from your dance practice, and then making it a reality can be a very rewarding experience. Don’t give up on it just yet. The good news is that although people are often quick to blame their own inadequacies, failure can often be attributed to poorly set goals. In other words, the goal fails you and not the other way around! Crafting a New Year’s resolution that is specific and realistic to your needs is the hardest part, but a plan that is easy to stick to is a worthwhile reward. Without opening a can of worms that is too big here, let’s take a moment to examine the difference between internal and external motivations. One of the most commonly made (and broken) New Year’s resolutions is to lose weight. Of course there’s nothing wrong with being fit and healthy, and for many people achieving this goal would require them to shed a few pounds. The issue is that when women say ‘I want to be thin’ what they often really mean is ‘I want to feel attractive’. Ask any woman who’s lost a lot of weight in order to feel more attractive and I’m sure she’ll tell you that it wasn’t enough to get what she wanted. This is often why people fail to lose weight, or fail to keep off what they’ve lost in the long run. So how did these two ideas of being thin and being attractive become connected in our heads? Watch any commercial for a dieting or exercising product on television to find out. Just remember that the resolution that serves you best will be the resolution that serves what you want best. Essentially what you’ve now done is taken things a step backward to a root desire. Why is it important to do this? For one, sometimes your initial thought on what you want is not really what you really need. Are awesome back bends a fair measure of twenty-something fitness? Definitely not. Maybe regular yoga practice would serve this need better. Other times you may unknowingly trap yourself in just one manifestation of your desires. Does getting more gigs make you more money? My guess is yes, but it’s not the only way. If you want to make more money from dancing professionally, don’t limit yourself to achieving this goal just through more performances. You might be ignoring other possibilities (like teaching or producing a DVD!). Hopefully now you have a few statements that reflect some of your general desires. What you really want, and not what your husband/teacher/troupe mates/the television wants you to want. Let’s look at the previous example of “I want to make more money from dancing professionally”. What would make you feel like you’ve accomplished this goal? Is it a certain amount of money that you’re looking for, or do you just want to feel less strain on your budget in general? Maybe you measure success as x number of gigs per week, or x more students per class. Again, write down any measure of success that comes to mind. Give your thoughts some time to percolate, and revisit your list a few days later. For each measure of success that you’ve listed, ask yourself if it really fits your initial desire or need. Look for any outcome that is not within your control. Try not to cross anything out, and edit what you can instead. If your initial want was ‘to be a better belly dancer’ and one measure of success you came up with was ‘to win a belly dance competition’ change it to ‘enter a belly dance competition’. Winning the competition is not within your control, but you can work up the courage to register and dedicate yourself to preparing for your best performance. Quite simply the best resolutions are realistic, specific, and progress by steps. Realistic goals can be accomplished with a reasonable amount of effort or change. If you’ve never even touched one before, wanting to perform with a sword on your head at the hafla two weeks from now is not realistic. With things that are new to you, it might be helpful to consult other dancers or a teacher for advice. She might tell you that just being able to balance a sword while walking around the house is more achievable in a two week time frame. Sometimes the best way to set realistic goals is to be process-oriented, not-product oriented. Different people learn and progress at different rates, and some things will always be harder for you than for others. Instead of holding yourself to a certain outcome, why not hold yourself to working towards it instead? Your goal would then be to work on balancing the sword while walking or dancing for at least fifteen minutes every day. This is a reasonable amount of effort and time to spend towards your resolution, without the pressure of trying to meet a deadline. Specific goals have a clear outcome within a give time frame. “I want to practice more” does not translate well into action. A better choice would be “I want to practice my shimmies two times a week for a half hour”. These kinds of statements are much easier to schedule and maintain in a routine. So if you only practice your shimmies once during the week, you know you have a session to make up. How can you judge how well or not you are sticking to ‘I want to practice more’? The goals you set can be very intimidating if you don’t break down the steps you need to reach them. Make sure that for every goal you have a good understanding of where to begin. Taking the first step is always the hardest, so start small. Calendars and other planners are helpful in making really large goals happen in a series of smaller tasks. ‘I want to host a show in June’ becomes ‘I want to research a list of potential venues by next Saturday, and to have called all of them for their rates by the following Wednesday’. Make sure you include in your calendar a date to check in with your progress, and to reassess how things are going. A good plan is one that is dynamic, and can support the adjustments you make to it when things change or you become more knowledgeable about the process. Can you and your friend learn to play zills together? Will your sister call you to check in and make sure you’re updating your website monthly? Enlisting your friends and family to help you reach your goal is very powerful. Don’t be shy- they want you to succeed and will probably be happy to assist. You can always do the same for them. Write down your thoughts, brag about your successes, whatever keeps you invested in the process. This is a great tool for keeping track of what does and does not work future reference, as well. Are things going as planned? Wonderful! Are they not? Well then, why? Was your goal unrealistic? Not specific enough? Did your situation or what you need change? This is not the time to abandon your resolution, it just needs to be updated! All resolutions need revision at some point, make it work for you the way it’s supposed to. StickK let’s you set a resolution enforced by a contract. You choose a goal to achieve by a certain time frame. You have the option of listing some stakes should you fail to meet your goal, a certain amount of money that will be charged to your credit card and donated to the person or organization of your choice. A friend or family member acts as your referee and decides if you’ve met your goal. HabitForge is based on the principle that it takes 21 days to form any habit. It emails you every day for the length of time you designate, reminding you of your commitment. In the email you receive you select either ‘yes’ or ‘no’ that you completed your goal for the day. Joe’s Goals is a simple tool that let’s you check off your goals as you complete them each day. Goals can be listed as positive things that earn you points, or negative things that subtract points from a total score of the day. You can track your progress over weeks by your daily scores. I will practice ________ for ________ minutes ________ times per day/week/month. I will attend ________ classes/workshops/shows ________ times per week/month/year. I will perform at shows/gigs ________ times per week/month/year. My first step is ________. I will perform in my first show by __(date)___ . My first step is ________. I will create new choreography at least ________ every week/month/year. I will create my first choreography by __(date)___. My first step is ________. I will update my website/Facebook/social networking site every week/month. I will create a website/social networking site for my business by __(date)___. My first step is ________. I will recruit ________ number of students to my classes by __(date)___. My first step is ________. I will start teaching belly dance. My first step is ________. I will open my own studio by __(date)___. My first step is ________. I will host a show by __(date)___. My first step is ________. I will join/create a troupe by __(date)___. My first step is ________. I will enter a belly dance competition. My first step is ________. I will reduce my costume/prop inventory by ________ percent and sell/trade these things by __(date)___. I will practice yoga/tai chi/ etc. to supplement my dance training. My first step is ________. I will get a friend to join me for practice/classes/ shows. I will try a new style of belly dance. My first step is ________. 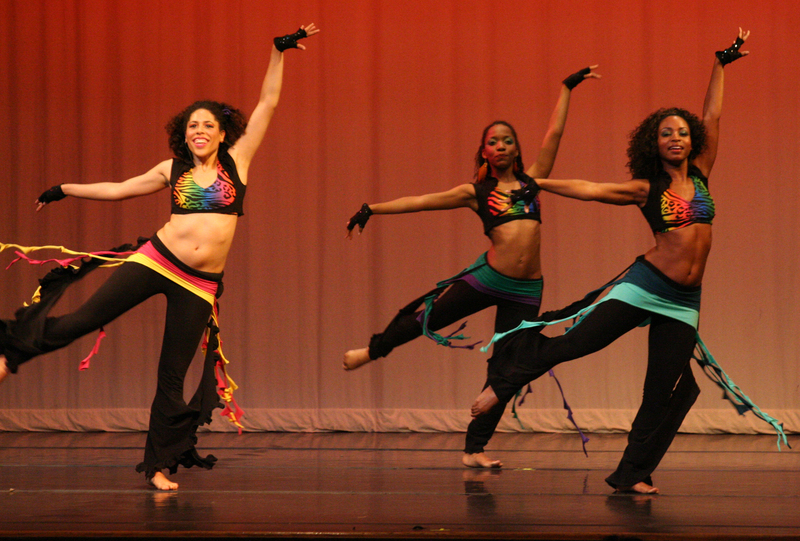 What is your belly dance New Year’s resolution? Post it as a comment here! A review of the best dancin’ music of 2011 to suit a variety of tastes, just in time for the holidays! If you’re looking to expand your music collection check out this post as part of my ‘Best of 2011’ series. 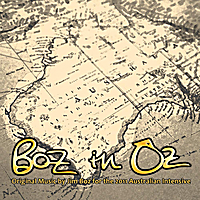 Notes: This album has a definite vintage, sometimes even folkloric, feel to it. There’s a nice mix of routines, including a few drum solos and some traditional songs. These would make great routines for a more formal or ethnic venue. Notes: This is a nice collection of drum solos that stand out from the predictable, indistinct drumming that makes for great practice but might be a bit boring for the stage. Gamal Gomaa is truly a master percussionist and he fuses traditional and modern elements well. Notes: This album is an interestingly distinct fusion of eastern and western rhythms and elements with a definite electronic feel. It’s very powerful, and there’s a nice mix of slower and faster songs. This is perfect for Tribal or Tribaret work. Notes: In the tradition of the Bellydance Superstars, there’s a little something for everyone here. I have to admit I think this is one of their better albums. 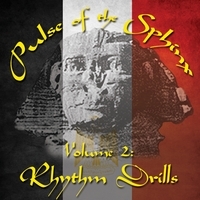 Notes: This album is composed of 31 very short (1 to 2 minute) drum solos great for students learning their rhythms. For advanced dancers willing to edit their music, there’s the potential to string together a few tracks and integrate them into a routine. Let me know if you end up getting one. I’d like to hear your review! Or tell me if I missed something that should be on this list. Never miss a chance to pause life for a moment and be thankful for all that you have. I know many will be doing just this when they reconnect with family members and celebrate the holidays in the coming weeks. But don’t neglect the little day to day opportunities to check in with yourself, either. For me belly dancing can be an interlude to the typical chaos in my life, and I feel fortunate that I’m able to set aside a few hours a week to focusing on what my body needs. I’m also grateful that belly dance has introduced me to many beautiful, wise, and inspiring women I would never have known, and now I can call them my friends. Join us on Monday, November 28th for a little bellydancing festivities on “Dance off the Turkey Day”. 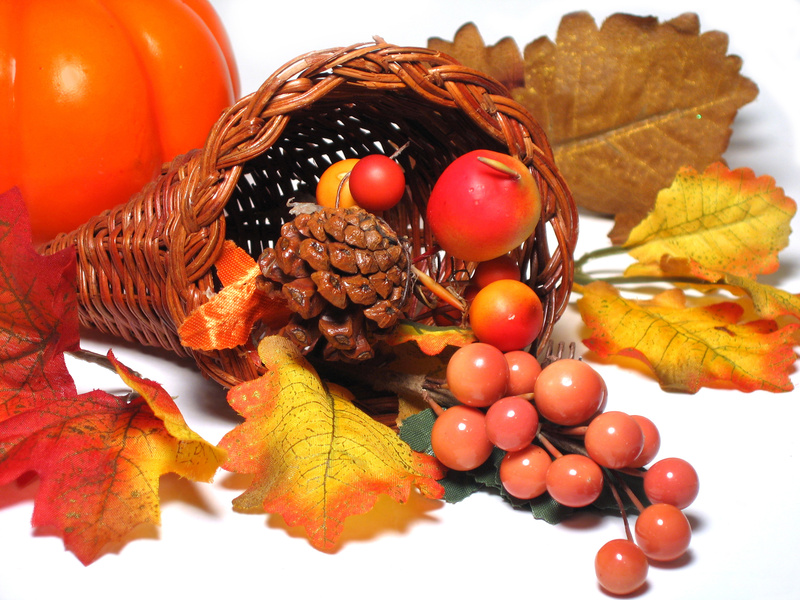 This is a chance to celebrate all that our bodies can do, and to be thankful for the benefits of dancing during a physically and mentally exhausting time of year. Classes for students will be held as regularly scheduled, with Bellyrobics (7:30 to 8:00pm) open to any and all participants. We’ll be at the Marlborough House studio on 9 Ling St. as usual. Free giveaways to all participants and a few surprises, too! So what is on your belly dance thanksgiving list? What are you grateful to have or be?